Are you keen on moving to Colorado? We have put together some basic information about the state to help you make your decision. Once you have decided to move to Colorado, just contact us with your requirements and we will introduce you to the best movers who will help you go through the shift with total ease. We will get you up to 10 free quotes from the top moving companies for your move to Colorado. 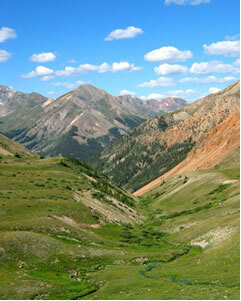 Colorado is located in the Western and South Western regions of the country in the Rocky Mountain region. Denver is the capital city and also the most populous city of this state. Estimated at 4,861515, in 2007, the density of population is estimated at about 16 persons per kilometer square. The population is a mix of people who are white, black, American Indian, Asians and Pacific Islanders. The total population of Hispanics in the state is very large when compared to the rest of the country. The population of the state is widespread and largely concentrated in the cities. A look at the demography of the state will give you an insight of the people you will live with once you move to Colorado. A brief look at the taxation system in the state will help you to decide on moving to Colorado. There are many taxes and one should be aware of them, before one makes the shift. Colorado has a flat rate of income tax at 4.63% regardless of the income level. The taxes are based on taxable income, i.e. income after federal exemptions and federal itemized deductions. Sales tax is 2.9% on all retail sales. Many cities and counties charge their own rates of sales tax over and above what the State charges. Real estate and personal business property are taxable in Colorado. Over and above this, there are some special district taxes that are levied on citizens of particular counties. The transport system in the state of Colorado is excellent. To move to Colorado is not difficult at all and once here, it is not difficult to find means to commute within the state, interstate or internationally. There are many Federal Highway Routes that pass through the state of Colorado making movement from one place to another very easy. Colorado has some fourteen airports of which the Denver International Airport, the busiest airport, connects people of the state with the rest of the world. There are many Amtrak passenger railroad routes that run through the state making it easy to commute short and long distances. Many communities have regional bus services to help people travel. The State of Colorado is divided into 64 counties. There are 271 incorporated municipalities and 83 active Census Designated places. The United State Census Bureau has defined seven Metropolitan Statistical Areas, seven Micropolitan Statistical Areas and one Combined Statistical area in this state. Some of the principle cities of the state are Denver, Colorado Springs, Pueblo and Boulder. One can easily choose which part of the state one wants to relocate to and it is not difficult to make a comfortable living anywhere in Colorado. Education, especially higher education is a very important sector of development in the state. There are many colleges and universities in Colorado. If you intend studying or take up a job in one of these prestigious institutions, just make sure you have the required admissions and permissions before you move to Colorado. Some of the well known colleges are University of Denver, Colorado College, Colorado School of Mines, University of Colorado and the Colorado State University. Other important colleges are the United States Air Force Academy, University of Northern Colorado, Regis University and another University of Colorado which is in Denver. There is a lot one can do to keep busy in Colorado. 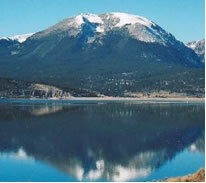 If you are a tourist or if you are moving to Colorado, there is a lot that you can see and do here. Three of Colorado’s leading museums are in Denver. They are the Colorado History Museum, the Denver Museum of Nature and Science, and the Denver Art Museum. The Denver Botanic Gardens is also in Denver. Native American and Spanish colonial art are on display at the Colorado Springs Fine Arts Center. The Boulder Museum of History chronicles the settlement and industrial development of Colorado, and the University of Colorado Museum in Boulder exhibits the natural history of the state. The Buffalo Bill Museum and Grave, exhibits historical mementos and photographs of the famous plainsman and scout Buffalo Bill Cody, who is buried on Lookout Mountain. The Colorado Railroad Museum is in Golden. There are numerous national parks, for long weekend getaways and tourist entertainment. Once you move to Colorado you can make use of the facilities of these parks to make life adventurous. The Rocky Mountain National Park includes some of the highest, most spectacular, and rugged mountains in Colorado. Mesa Verde National Park in southwestern Colorado contains ruins of Anasazi pit houses, pueblos, and cliff dwellings, which are considered some of the best-preserved in the country. One of the most spectacular tourist attractions is the Black Canyon of the Gunnison National Park, which contains the narrow gorge cut by the Gunnison River. Colorado National Monument, near Fruita, features deep gorges and huge solitary rock formations, such as the Independence Rock. Dinosaur National Monument, which is located on the Utah-Colorado border, is famous for fossilized remains of dinosaurs and other prehistoric animals. Great Sand Dunes National Monument, near Alamosa, contains some of the largest and highest sand dunes in North America. In southeastern Colorado is Bent’s Old Fort National Historic Site, a reconstruction of the first American settlement in Colorado. Other tourist attractions in Colorado include a suspension bridge that spans the deep chasm of the Royal Gorge of the Arkansas River. There are hot mineral springs at Pagosa Springs and Hot Sulphur Springs. Colorado is the nation’s leading ski-resort region, with more than two dozen major ski areas, including those in Aspen, Steamboat Springs, Telluride, and Vail. Having made your decision to move to Colorado, all you need to do is to fill in the form online, giving us all the relevant details so that we can assist you to shift into any part of Colorado without any hassles. We will send you several customized quotes from the top professional moving companies completely free of cost. All you then need to do is take your pick to ensure a seamless move to Colorado.